By Christopher Loghry, Space Systems Engineer, Moog, Inc.
Moog has been supporting the space industry since the 1950s and the company has a rich history in many critical spacecraft and launch vehicle components and systems. Moog has developed a family of orbital maneuvering vehicles (OMV) that form a suitable basis for rideshare-based payloads. The system has been designated an orbital maneuvering vehicle primarily because its target missions include delivery of multiple small satellites to varied orbits and it has the ability to host science payloads and instruments in LEO, GEO and other orbits, such as the Earth-Sun Lagrange points or Lunar orbits. 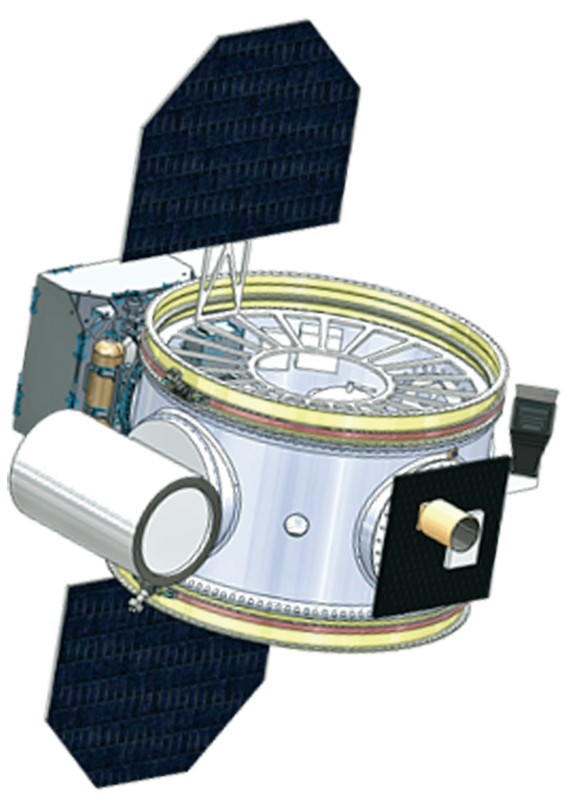 The baseline EELV Secondary Payload Adapter (ESPA) structure is modular with a set of “building-block” subsystem components that can be upgraded to meet tighter mission requirements. The OMV comprises of an integrated avionics unit (IAU) for both Command and Data Handling (C&DH) and Electrical Power System (EPS), Guidance and Navigation Control (GNC) sensors and actuators, a chemical propulsion system and other functions in a modular form that can be tailored to specific missions to take advantage of lower launch costs through rideshare. Through acquisitions—CSA Engineering, AMPAC In-Space Propulsion and Broad Reach Engineering—Moog now has in-house capability for a majority of OMV subsystems. Moog has provided subsystems and components to similar spacecraft including LCROSS, DSX and EAGLE. It is important to realize that Moog’s OMV concept is fully scalable and adaptable in terms of propulsive and electrical power capability, including undefined requirements at this level to allow for flexibility of various payloads with minimal cost to change. 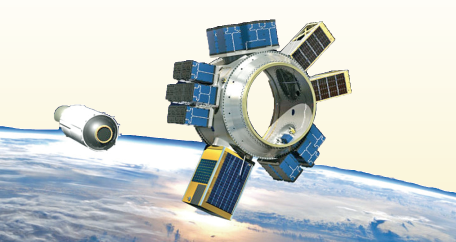 The family of OMVs can be used in a wide variety of mission applications from supporting small spacecraft deployment (including Cubesats), hosted payload applications, carrier/tug vehicles, and motherships for applications in Earth orbit and beyond. In many cases, a combination of these missions can be accomplished by a single OMV to provide cost-effective options for space access and operation of multiple payloads. The OMV concept can be used where the ESPA ring itself acts as the core spacecraft structure. In this mission scenario, port mounted payloads and other hardware are not deployed from the ESPA but stay attached to perform their mission after the ESPA separates from the launch vehicle. Moog has worked on many missions where the OMV performs a variety of functions enabling novel mission capabilities while still utilizing a rideshare launch opportunity. When working with a customer, Moog performs early sizing analyses of OMV subsystems against both mission performance and cost to allow identification of a baseline. This baseline is incrementally modified as the mission moves from concept to design phase. This flexibility allows for a wide range of applications by many different end users from tug opportunities, to a hosted payload platform, to GEO orbit, and beyond. 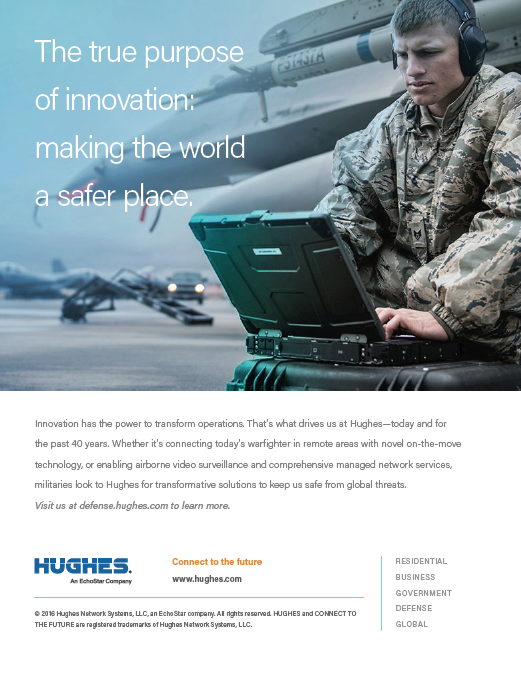 The system is built around the Moog Broad Reach integrated avionics unit (IAU) which incorporates command and data handling (C&DH) and an electrical power system (EPS). The IAU can include a GPS receiver that operates in LEO or GEO orbit. The C&DH subsystem uses the RAD-hard BRE440 spaceflight processor and the radiation-hardened Virtex-5QV FPGA. The IAU architecture is very flexible using a wide range of flight-proven options that can be tailored for the mission specifics to lower risk. 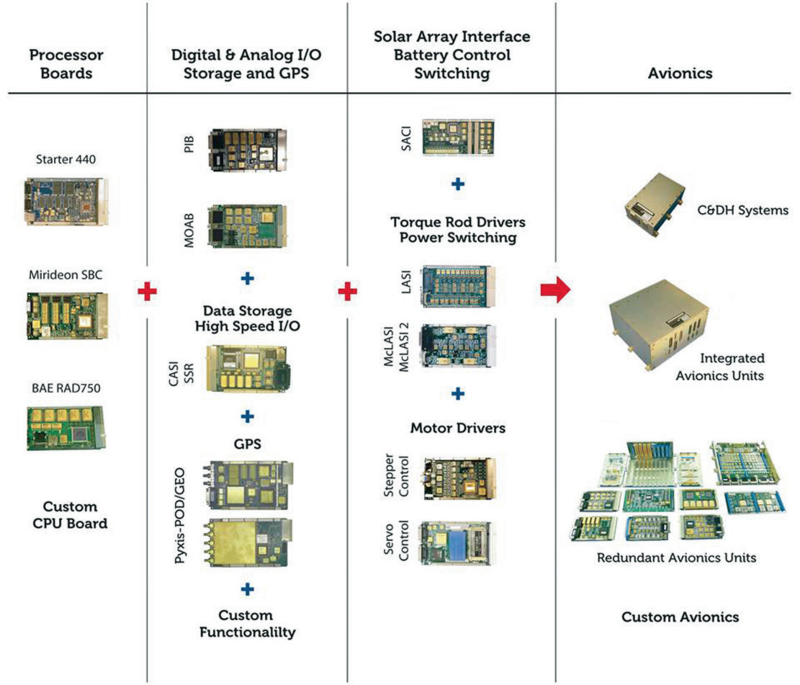 A GNC suite includes attitude determination and control (ADCS) hardware such as reaction wheels, sun sensors, star trackers and an IMU. Moog Broad Reach flight proven C&DH and GNC software controls the OMV. Our flight heritage software has successfully executed NASA and Air Force missions including rendezvous and proximity operations activities. The flexibility of the OMV architecture allows for efficient tailoring of the GNC system. Coarse pointing for orbital adjustments and payload deployment is achieved with thrust vector control while fine pointing for hosted payload applications can be achieved via additional sensors and actuators. This includes utilizing existing Technology Readiness Level (TRL) 9 hardware such as sun sensors, star trackers, GPS receiver, and/or reaction wheels. For rideshare missions, the OMV may require propulsion for delta-V and/or attitude control, which drives the propulsion system configuration requirements. The baseline monopropellant propulsion system consists of heritage Moog hardware. A total of four translational thrusters and six reaction control thrusters currently provide the capability to de-tumble, slew, point, complete large maneuvers and momentum dumping (if required). 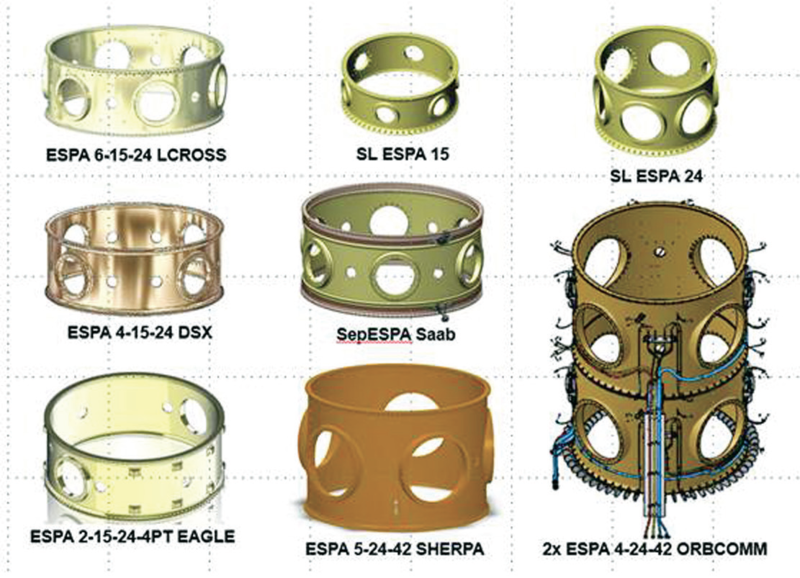 The propellant tank options and ESPA size are also flexible. Moog has a line of TRL 9 tanks but the OMV also leverages commercially available tanks. Moog’s line of Rolling Metal Diaphragm (RMD) tanks can be used for missions where minimum disturbances from the OMV, like propellant slosh, are needed. The propulsion system can be configured to use some Green propellants like LMP-103S or as a high efficiency “dual mode” bipropellant system to provide over 1 km/s of delta-V. Depending on the final altitude, the propulsion system may also be required to provide deorbit capabilities. Each propulsion system configuration is designed to be capable of at least 400 m/s for the corresponding full payload configuration (1080 kg for Standard ESPA and 1500 kg for ESPA Grande). Each propulsion system option is designed to be common across the various configurations as much as possible to minimize cost and schedule. This flexibility allows for the ability to do a wide range of missions and the ability to easily configure the OMV to meet the requirements. The OMV leverages Moog’s extensive propulsion system heritage used on many critical programs including two key US Government programs: Fermi/GLAST program that launched in 2008 and the Landsat Data Continuity Mission (LDCM) or Landsat-8 system that was launched in 2013. In addition to unique single spacecraft systems, Moog delivered 18 propulsion systems for the ORBCOMM Generation 2 (OG2) constellation and is currently sending completed propulsion systems for the European Galileo Full Operational Capability (FOC) Constellation. The company’s propulsion system experience ranges from large volume commercial programs to unique US Government programs that can be leveraged for OMV configurations for any market. Moog currently operates a primary facility in Niagara Falls, New York that has hot fire capabilities to test rocket engines, big and small. The Niagara Falls facility used for production programs—every rocket engine Moog builds is tested with real propellant in a vacuum chamber. Moog recently announced plans for a new $12 million manufacturing and test facility for space propulsion products to be located at Moog’s headquarters in East Aurora, New York. The new state of the art 35,000 square foot facility will allow Moog to support propulsion system activities for the next several decades. The electrical power system is designed to be modular to meet the largest variety of mission requirements with minimal changes. Lithium Ion “battery blocks” are used to easily scale the size of the power system based on the mission particulars. The OMV can use battery power alone for short missions (1-2 day) or solar arrays for longer duration and hosted payload missions. For an SSO-type mission a deployable, fixed array would be used. Other mission types would use a deployable sun-tracking array leveraging Moog technologies used on many spacecraft in orbit today. For specific mission applications, Moog will leverage its Modular Electric Power System (MEPS) technology. MEPS is an architecture that allows ultra-capacitors to be connected to a power system to function as an electric accumulator. MEPS is agnostic to the upstream energy system, that enables the use of many different energy sources, including batteries, flywheels, auxiliary power units (APU) generators, or nuclear, but Moog has focused its early development leveraging the use of lithium ion batteries. In this form, MEPS is a hybridization of batteries and ultra-capacitors. The intent of architecting a power system in this manner is to optimize the benefits of the individual technologies while maintaining a small form factor and fulfilling the total system need. The MEPS technology has applications on not just the OMV but spacecraft and launch vehicle applications as well. The OMV communication system is specified for each mission based on the orbit, CONOPS, data rates, and data throughput requirements. Typically, the communications portion of the OMV is considered part of the payload chain to be specified by the customer. TRL 9 hardware is used to leverage the lowest cost ground station solution that meets the mission requirements. 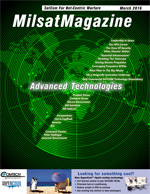 Another communication option that leverages Moog technology is the Swift Broadband for Satellite (SB-SAT) terminal. Moog developed this technology together with the Defense Advanced Research Projects Agency (DARPA) and NASA Ames along with industry partners the European Space Agency (ESA), COM DEV International (COM DEV) and Inmarsat Plc (Inmarsat). SB-SAT can be thought of as a terrestrial Inmarsat satellite handset but operated in space. A LEO spacecraft which carries an SB-SAT terminal employs an antenna pointing mechanism to acquire and maintain a link with Inmarsat Geostationary (GEO) assets which route the communication link through Inmarsat’s existing Broadband Global Area Network (BGAN) to ground users through a simple, secure Internet connection. Currently, typical LEO spacecraft have limited ground contacts with a duration of approximately ten minutes that can occur as little as twice a day depending on orbit geometry and ground station geographical distribution. Consequently, data gathered from payload sensors drive platform storage requirements and cannot be delivered to users without latency that could be on the order of many hours. Utilizing an SB-SAT link, LEO spacecraft are able to relay and receive user information within one to two seconds. The OMV is based on the flight heritage ESPA ring that was originally developed by Moog for the USAF to access unused launch capacity for high value US Government missions. The ring is a multi-payload adapter for large primary spacecraft (up to 9072 kg/20,000 lb) and six auxiliary spacecraft (up to 180 kg/400 lb). A larger variant called the ESPA Grande can accommodate five auxiliary spacecraft (up to 300 kg/660 lb). These auxiliary payload ports can be utilized by other customers or as accommodations for hosted payloads. The ESPA mounts directly to the launch vehicle upper stage, below the primary spacecraft. Stacked ESPA configurations are also possible. The auxiliary spacecraft are deployed after safe jettison of the primary. This concept is now well proven and has been flown on Atlas V, Delta IV, and Falcon 9, allowing use of full launch vehicle capability. Since the maiden flight of the ESPA ring, in March 2007 for the STP-1 mission, further ESPA options have been developed to offer varying port configurations, ring heights, and increased auxiliary spacecraft carrying capability. The first NASA mission to utilize an ESPA, Lunar Reconnaissance Orbiter (LRO)/Lunar Crater Observation and Sensing Satellite (LCROSS), launched in June 2009. Moog is also taking the opportunity to look at how advanced technologies such as Additive Manufacturing (AM) can be used to reduce the cost, mass, and lead time of elements of the OMV. Moog has been investing in AM for several years including the addition of its additive manufacturing center in its East Aurora facility. The specialized tools and experience developed in this facility has recently won a technology development contract under the Booster Propulsion Technology Maturation Broad Agency Announcement from the U.S. Air Force. Moog will focus its efforts on additive manufacturing of parts for liquid fueled first stage rocket engines. Moog will explore the material properties unique to additive manufacturing and discover the fault tendencies of the materials using in-house additive manufacturing technologies and failure analysis techniques. This will improve the additive manufacturing processes to avoid such faults in the production phase. The experience from this program will be leveraged to support elements of the OMV development. The flexibility of the ESPA and the OMV allows for multi-manifest missions with NASA, US Government and commercial companies. It is entirely possible to have a single OMV act as a secondary adapter to deploy commercial payloads, then act as a tug to deploy additional payloads at varied orbital parameters, and finally, it would remain on-orbit as a hosted payload platform for a third customer. Moog is currently in discussions with Spaceflight Industries on potential collaboration to use Orbital Maneuvering Vehicle as a hardware solution for Spaceflight’s future SHERPA platform. Spaceflight is a pioneer in the area of commercial rideshare and have launched 81 payloads with another 135 manifested into the future. They are a small business which was founded in 2010 to enable small spacecraft frequent low-cost access to space. Starting in late 2017, they are also providing Dedicated Rideshare Missions to Sun-Synchronous Low Earth Orbits and Geostationary-Transfer Orbits on an annual basis. Moog is excited to collaborate with Spaceflight and shares their vision of providing more launch opportunities for rideshare payloads. Moog sees the OMV as a key enabling technology to enabling low-cost access to space including achieving optimal orbits and enabling new and exciting missions to a wide range of orbits and destinations. Moog is proud to support the global in-space propulsion industry and continues to develop and support products and technologies that are key to the space industry where performance really matters. Christopher Loghry is Space Systems Engineer supporing Moog’s Space Sector with background in spacecraft propulsion. He currently works in the Space Access and Integrated Systems business unit in an engineering and business development role supporting propulsion, launch vehicle and spacecraft missions. He can be reached at cloghry@moog.com.